Hi everyone! I’ve had several requests to make a Calendar Printables Set, so here it is! I’m excited to present my Gingham Calendar Days! 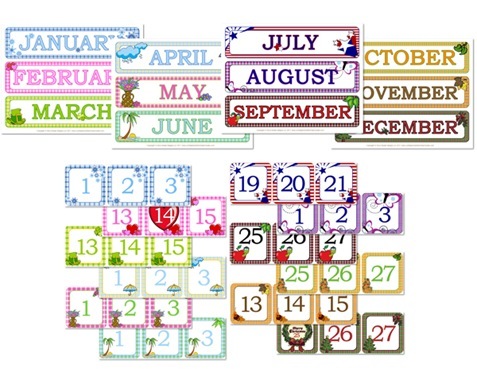 The Gingham Calendar Days set comes with 12 Month Banners, and different themed Calendar Day cards for each month. There is also a page with Mon-Fri day titles so you can use these cards with a Pocket Chart instead of a Calendar Poster. Tips: I recommend printing on cardstock. Place 2 pages back to back (so the printed side is facing out on both sheets) then run through a laminator. Cut the cards and month banners apart. Use Velcro on the backs of the cards to stick them to your calendar. 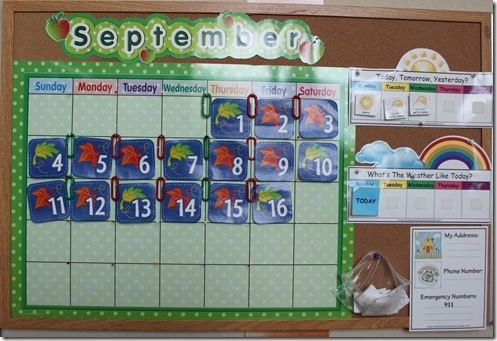 What do we do for our daily Calendar Time? Pledge of Allegiance: We start each day with the USA Pledge of Allegiance, and we are in the process of learning the Biblical Pledge of Allegiance as well. ABC Song: This is only for my younger kids, but it never fails that the older ones like to sing it too! Let’s have fun, let’s have fun! Thanks for making them & sharing them with us. I just love them … really they are just so pretty & cute! Where do you get your graphics … or do you make them all yourself??? I made the backgrounds and then used some clipart from http://www.clipartconnection.com which is a site I have a membership to. Looks like a great download, but it’s so large). Is there any chance you can break it up into smaller chunks for those of us with slow internet connections? Thanks! If you RIGHT click on the download link then select “SAVE LINK AS” you should be prompted to save it to your hard drive. Let me know if that doesn’t work and I’ll try something else! Love the Calendar download!!! I also love the idea of charting the weather! How simple but yet I’ve not thought of it yet! Thanks for the cool idea! I’m all giddy, thanks for the printables and the song ideas! 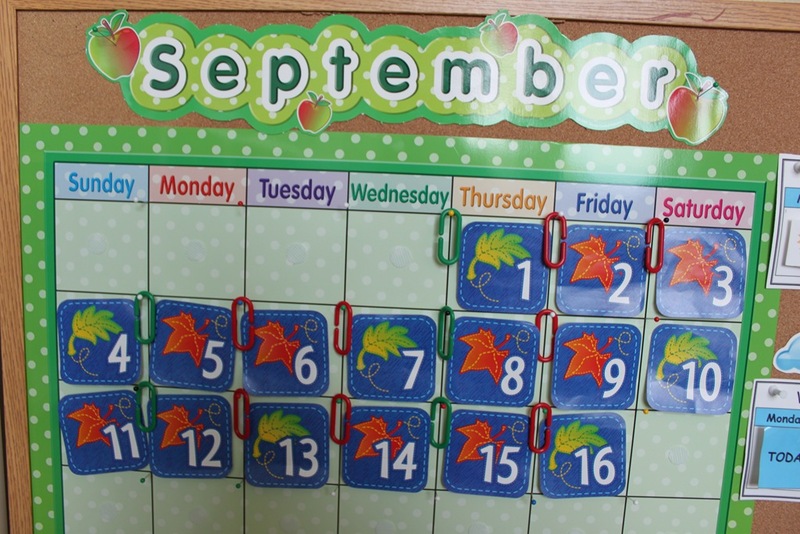 I already printed, cut, laminted and attached them to our calendar :-)). Any chance of getting the split numbers for the 23/ 30th and 24/ 31st? REALLY enjoy that the graphics are warm, friendly, larger, easy to read and still seasonal but not scary for October!! Thank you, thank you, thank you!!! I have also printed them all out and in the process of laminating. I agree with Lori that they are perfect! I was so happy to see nothing scary for October, as well. Thank you for all that you share. Your printables have brought lots of fun and color to our school. And, I enjoy reading your posts. I am planning on using your curriculum next year when both of my kids will be ready for it. I love you! I have searched the internet all over for something like this. Only one problem, I am having trouble downloading them. I guess because it’s so large but I am not sure…. I’m so excited about this, but I can’t open it either. Please help?